Comarch recognized as the Provider Worth Recommending! We are proud to announce that Comarch has been honored by ING Bank Śląski (part of the ING Group) and recognized as the Provider Worth Recommending during December conference “In search of common ground”. The award was handed to Andrzej Przewięźlikowski - Vice President, Director of Financial Services Division. Provider Worth Recommending 2017 is the award for these companies, which provide services on the highest level and that are keeping their flexible approach. Comarch has been placed among winners and recognized for “the outstanding flexibility, willingness to change the working model and for the creation of global solutions responding to the needs of clients in the Agile Era”. The award was handed to Andrzej Przewięźlikowski - Vice President, Director of Financial Services Division. Comarch Corporate Banking is the solution that has been honored by ING Bank Śląski. It is a banking platform designed and built specifically for corporations and SMEs. Comarch Corporate Banking facilitates financial management, accelerates the implementation of banking operations and simplifies the management of a wide range of banking products and services. 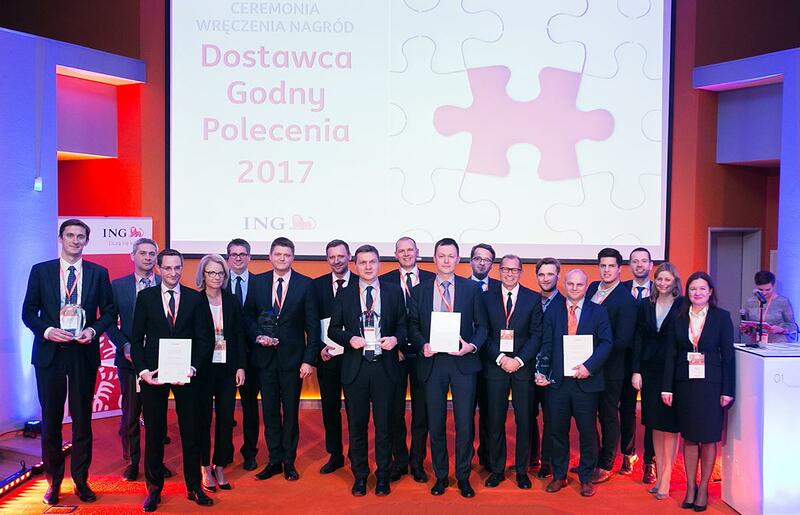 The award gala took place during the conference focused on management of providers – “In search of common ground”, organized by ING Bank Śląski. The event included a discussion panel entitled “ING Bank Śląski in providers’ eyes: how does the bank of future should look like?”, in which Andrzej Przewięźlikowski participated. He provided insights on a partnership of bank and providers in the digital era and shared his expertise on cooperation with the banking sector. Moreover, he presented the direction of development in the digital era.